Indira Gandhi decided that instead of taking millions of refugees spilling into Indian borders from the ongoing civil war between East and West Pakistan, India would face Pakistan head on. The move was remarkable because it was tremendously risky, considering it could provoke a direct offensive by an already antagonised neighbour. East Pakistan (now Bangladesh) lead by Mukti Bahini emerged victorious and the country was liberated with help the from Indian army in December 1971. Former Prime Minister Atal Bihari, then an opposition leader from Jan Sangh (former version of BJP) compared Gandhi to Goddess Durga. She went on to sign the Simla Agreement with the then Pakistani President Zulfikar Ali Bhutto to restore peace, withdrawal of troops and exchange of PoWs. The 70's and 80's were tenuous decades for India due to the emergence of various secessionist movements. One such movement demanded a separate country for Sikhs known as 'Khalistan' comprising the state of Punjab and 'greater' Punjab including regions from neighbouring states. Indira Gandhi approved the infamous Operation Bluestar on 3 June 1984, against Sikh militants who had taken refuge at the Golden Temple. She was assasinated in the same year by her Sikh bodyguards. However, Mrs. Gandhi practiced complete intolerance when it came to everything remotely anti-nationalist without a care for consequences - even at cost of her own life. 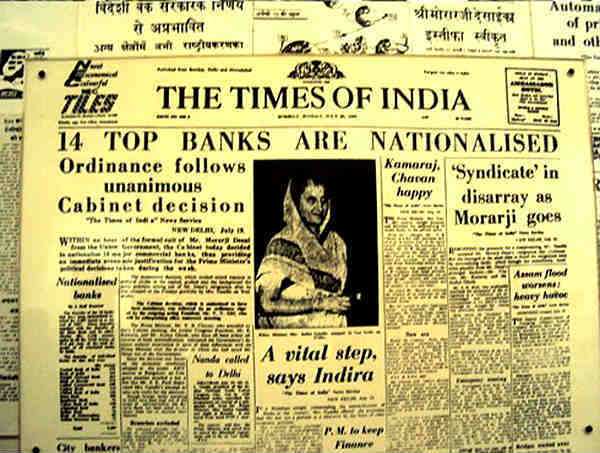 Indira Gandhi nationalised 14 banks in July 1969, bring them directly under government control. She claimed private players were acting against national interest and not aiding her in eradicating poverty. In 1971, she authorised the abolition of the controversial privy purse, which mandated a payment and grant of other privileges by the government to former princely states for agreeing to integrate with India in 1947. Indira once again brought the 'one nation, one people' argument into play, rationalising the move on the basis of equality between citizens. After the state of Jammu and Kashmir acceded to the Indian Union in 1947, it was granted certain special privileges that none of the other states had including its own prime minister and degree of autonomy. This led to a major power tussle between the Centre and state. 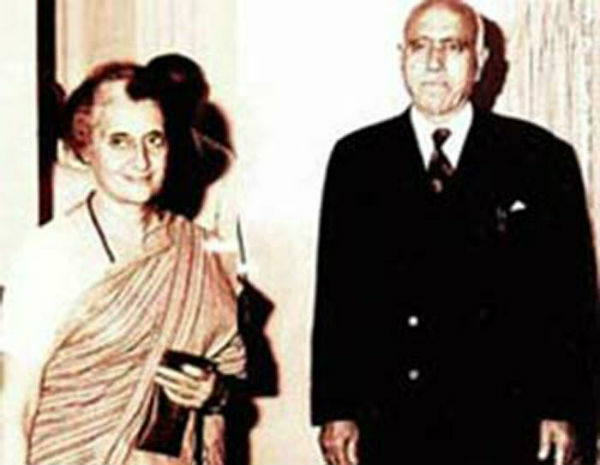 In 1974, Indira Gandhi signed an accord with Sheikh Abdullah who had been exiled from power and imprisoned by her father in 1953. 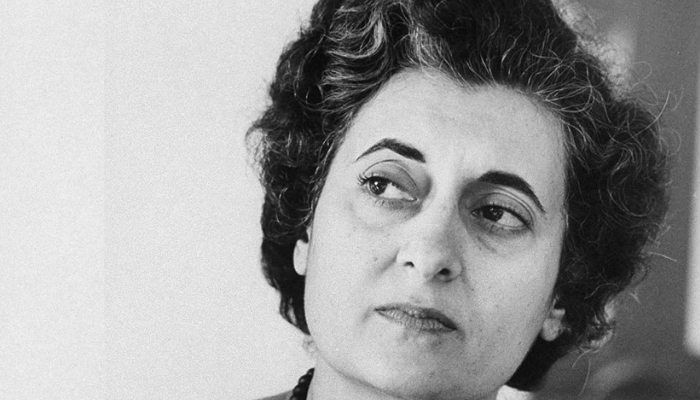 The popular leader's reinstatement, however, was completely controlled by Indira Gandhi. She kept him on the edge by appreciating his "views" (demands) while acceding none, including greater autonomy for Kashmir. She did not even allow for elections, as Abdullah suggested so as to cripple the legitimacy of his position. Angry that he refused to come back to power, she went to the lengths of giving him an ultimatum - if he did not turn up for swearing in ceremony in half an hour on 25 February 1975, the previous chief minister could take his place. Abdullah finally gave in and remained in power till his death in 1982, but arguably as a titular head, furthering the Congress' interests in Kashmir under the garb of the National Conference-Congress coalition. READ NEXT >> Did you spot this UFO in Astronaut Scott Kelly's photo of South India?